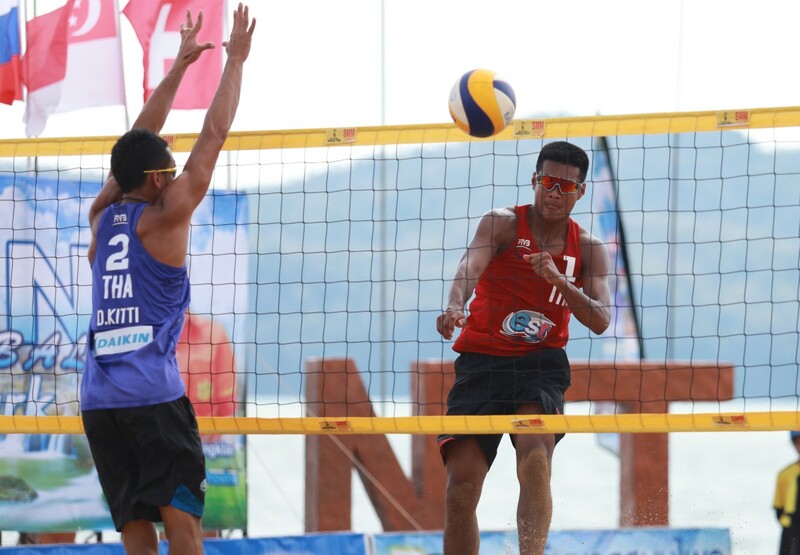 Satun, Thailand, April 10, 2019 – The FIVB Beach Volleyball World Tour SMM Pak Bara Beach Satun 1-Star has reached its climax on Wednesday when teams from Iran, Thailand and Kazakhstan all pulled out comeback wins to secure the men’s semi-final spots, with Ukrainians breezing past Hungarians in an all-European duel to clinch the remaining berth for the Thursday morning’s semi-finals. 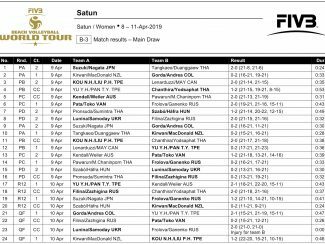 The women’s event saw Vanuatu, Chinese Taipei, Colombia and Ukraine pairs through to the Thursday’s semi-finals, with Ukrainians Diana Lunina and Maryna Samoday advancing without sweating as they won by forfeit because of an unexpected injury to Russians Anastasiia Frolova and Aleksandra Ganenko. Another scorching hot day smashed Pak Bara here on Wednesday with temperatures peaking at more than 33 degrees Celsius. 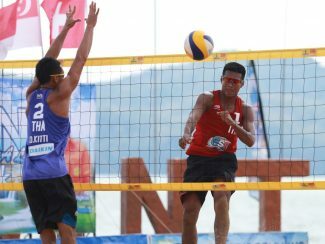 However, the searing heat could not dampen the determined players’ enthusiasm and spirit to come up with their best form on the penultimate day of the one-star, double-gender competition. 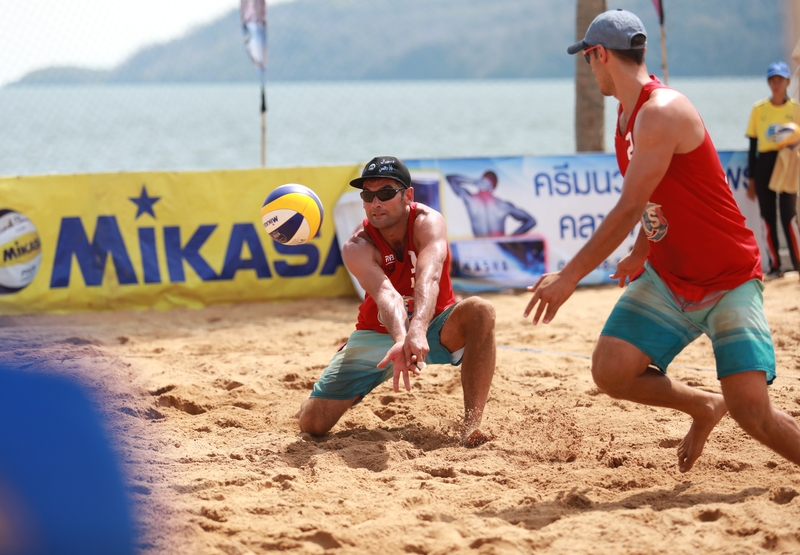 Third seeds Rahman Raoufi and Abolhamed Mirzaali, who stormed past local hopefuls Banlue Nakprakhong and Narongdet Kangkon 2-0(21-15, 21-16) in the Round of 12, stunned top seeds Arash Vakili and Bahman Salemiinjehboroun in a tightly-contested all-Iranians encounter, producing a magnificent come-from-behind 2-1 (19-21, 21-19,16-14) victory in the quarter-finals. Ukraine’s Denys Denysenko and Vladyslav Iemelianchyk also won their quarter-final encounter without a hitch following a 2-0 (21-12, 21-13 ) victory against Hungarians Artur Hajós and Balázs Benko to advance to the semi-finals. The remaining two teams marching to the men’s semi-finals were the host team and Kazakhstan. Kitti Duangjinda and Dunwinit Kaewsai outlasted Phichakon Narathon and Phanupong Thanan 2-1 (15-21, 21-19, 15-8) in the all-Thais battle. “We felt a bit under pressure before the match as we have known each other very well,” said Dunwinit. 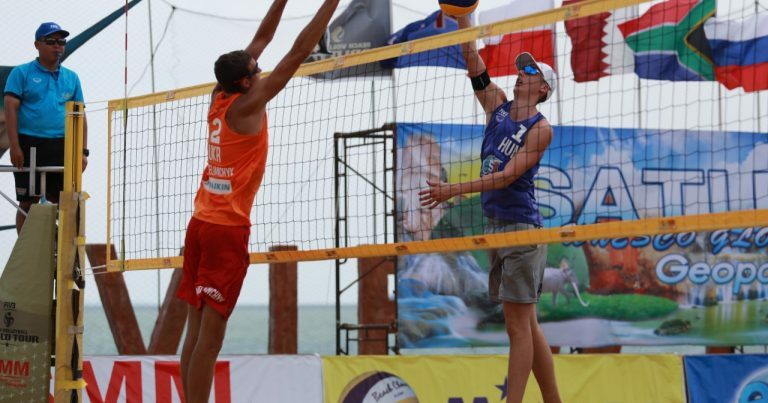 Kazakhs Dmitriy Yakovlev and Sergey Bogatu rallied from one set down to beat countrymen second seeds Alexandr Dyachenko and Alexey Sidorenko 2-1(14-21, 21-19, 15-11 )in a hard-fought three-set thriller. 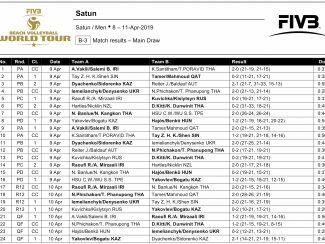 Iranian pair Raoufi and Mirzaali will go up against Thai duo Kitti and Dunwinit in the first semi-final match on Thursday at 9.40am local time, followed by the match between Ukraine’s Iemelianchyk and Denysenko and Kazakhstan’s Yakovlev and Bogatu at 10.30am. Meanwhile, in the women’s competition, Colombia’s Galindo sisters, Claudia and Andrea, cruised to the semi-finals following a hard-earned 2-1 (15-21, 21-19,15-11) win over Chinese Taipei’s Yu Ya-Hsuan and Pan Tzu-Yi. “I am very happy to get the victory and through to the semi-finals,” said Claudia. “It was a very tough game for us because Chinese Taipei are a team with great technical skills. They moved very fast on the court and placed and dug the ball well. They are a very solid team. We have worked really hard, so to play in the semi-finals is a good prize for us and our country. 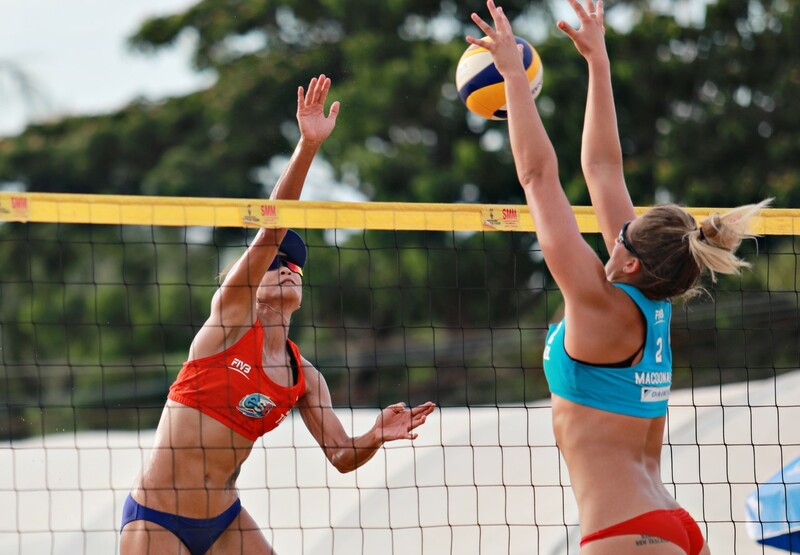 Promising Miller Pata/Sherysyn Toko still keep their hopes on playing in the final showdown alive as the Vanuatu’s duo continued their unbeaten run on Wednesday after a 2-0 (21-15, 21-12) rout of Russians Ekaterina Filina and Ekaterina Zazhigina. “We came here to win some matches, but now we are in the semi-finals. So, I feel really happy. Our next opponents are very strong but we will try our best to beat them for a place in the final,”said Pata. 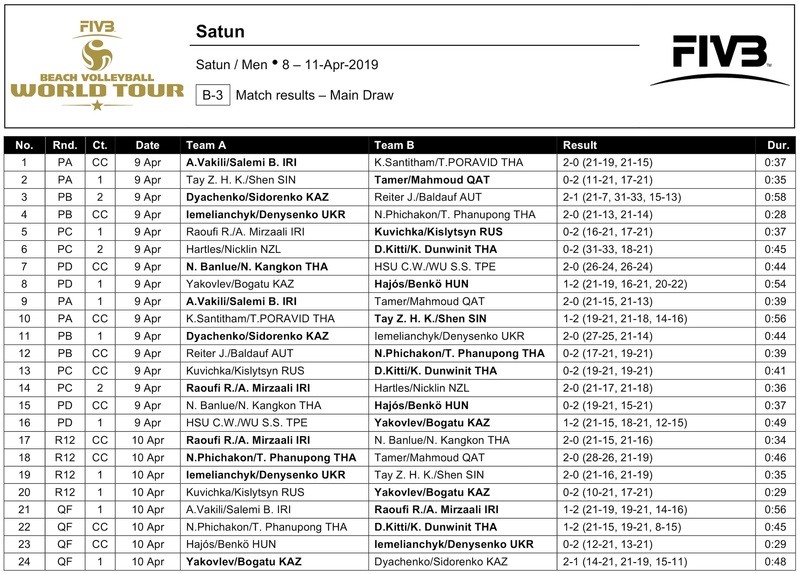 Ukraine’s Diana Lunina and Maryna Samoday and Chinese Taipei second seeds Kou Nai-Han and Liu Pi-Hsin booked the other two semi-final spots. 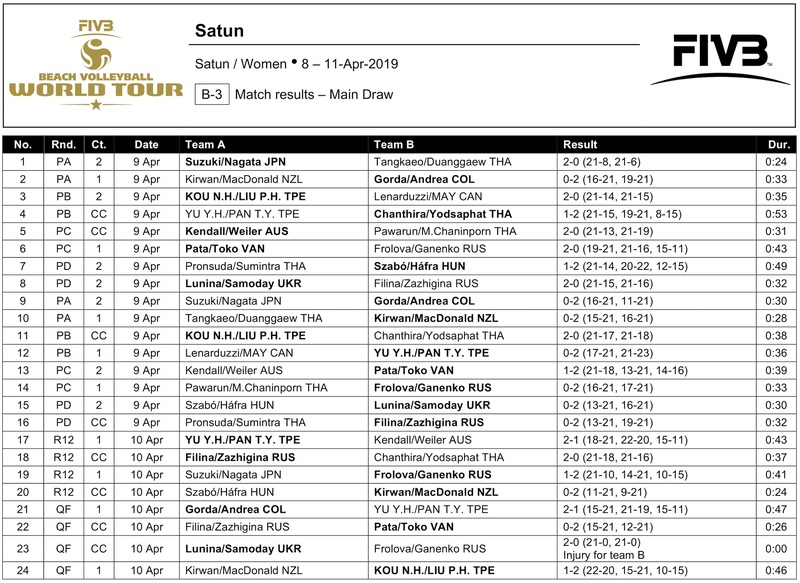 Kou and Liu fought hard in a tough match against Francesca Kiran and Olivia MacDonald, rallying from a 20-22 loss in the closely-contested opener to beat the Kiwi pair in the remaining two sets 21-15 and 15-10, while Lunina and Samoday had a field day as they made it to the semi-finals by forfeit because Russians Anastasiia Frolova and Aleksandra Ganenko decided to pull out of the competition due to an injury. 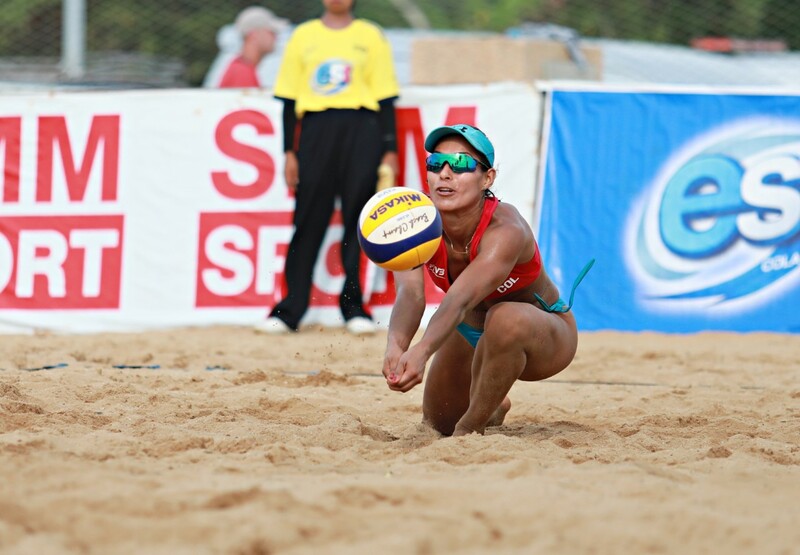 In the Thursday’s semi-finals, Colombia’s Claudia Galindo and Andrea Galindo are due to take on Vanuatu’s Miller Pata/Sherysyn Toko at 8am local time, while Ukraine’s Diana Lunina and Maryna Samoday will challenge second seeds Kou Nai-Han and Liu Pi-Hsin from Chinese Taipei at 8.50am.